The early history of Fair Trade is linked to Christian faith-based groups, as it is they who originate this movement. Most people agree that it all in progress in the United States. What are now 10000 Villages and other relatives first sold handcrafts made by indigent people in the 1940s. To be more specific, it is credited to Edna Ruth Byler to be the 1st Fair Trader. 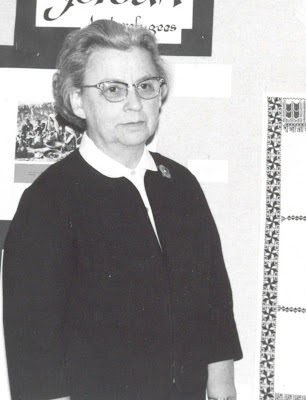 By 1940 she was volunteering in her Mennonite community and traveled to Puerto Rico. She met there some women living in poverty who were gifted to produce a quality linen needlework. 6 years later, she herself, along with her partner Ruth Lederach, took some items to a Mennonite world meeting in Switzerland and sold them there, attractive the first persons to actually trade fairly. For a number of years she sold the mending from the trunk of her car, devoting her time and energy to this cause. Their first shop was opened in Akron U.S.A back in 1958. Later on, in 1968, this movement became "SELF HELP" craft of the world" and open the first American World Shop in Bluffton U.S.A. in 1972. They became financially self-sufficient and some years later, in 1996, changed their name to 10000 Villages, which still keeps in flower nowadays. Here in Europe, Oxfam was fashioned after World War II to relief hunger to refugee; the name comes as an acronym of Oxford Committee for Famine Relief. Oxfam Trading in progress to operate in 1964 and later become the Fair Trade branch of this NGO. Now Oxfam is a large union with lots of branches in a lot of countries. They have created a fantastic "brand" image with their individual light green color and impacting campaign.